Heat a wok or pan over medium-high heat. 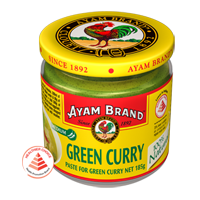 Add Curry Paste and chicken, stir-fry for 2-3 min. Stir in coconut milk, water and bring to the boil. 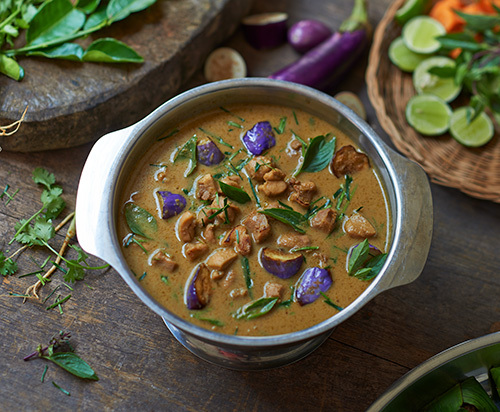 Add eggplant and kaffir lime leaves, reduce heat and simmer for 8-10 min until the chicken and eggplant are cooked. Garnish with basil leaves. Serve with steamed rice.